We currently have a horse crisis, whereby the number of horses far outweighs the number of good homes available. Whilst we would all love to rescue every horse or pony that needs a home it simply isn’t possible with the numbers out there. Unfortunately for every horse that is born it means one that is currently alive is pushed out of a potential home. But why do we have this crisis? The blame can’t be pointed at any one group. In fact, collectively, twice as many foals are produced by people who will only breed 1 to 5 foals than by people who will breed over 100 each. This shows that, everybody reading this, whether you be a dealer, breeder, or pleasure horse owner, has a role in stopping this crisis from worsening. Injury: If she is having to be rested for a prolonged period it seems a good idea to get a ‘use’ out of her. In fact, her recovery could be jeopardised due to the excess weight of the foal, energy being diverted from healing to producing the foal and her body being stressed. Preserve desirable traits: If this is your aim then you need to ensure the stallion is just as good. 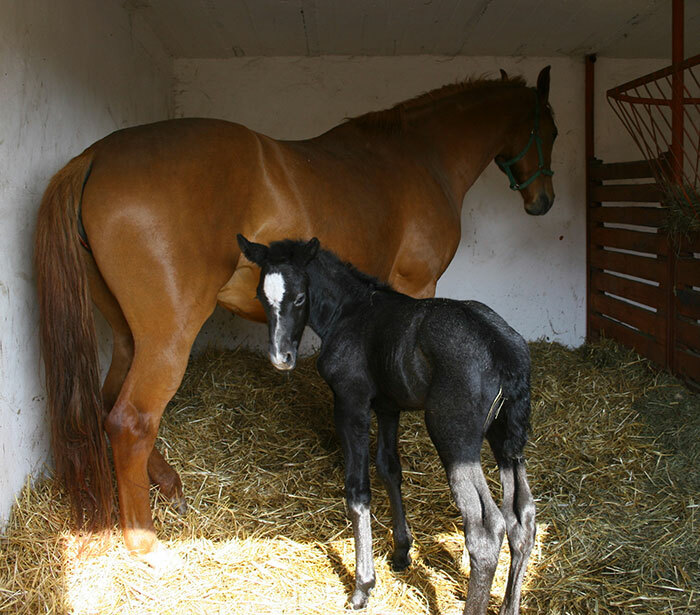 Even then you aren’t guaranteed the foal won’t have problems. Prevent laminitis: this is no longer thought to help and is most probably detrimental. You can make money: Producing a foal to the age of 4 is now more expensive than buying a 4-year-old. Consider the cost if the mare doesn’t conceive first time, vaccinations, microchip, passport, worming, livery and extra food. Worse even more if the mare or foal become ill or are accident prone. Whilst I can appreciate breeding your mare, raising the foal and then riding it is a lovely experience it also can attract a great deal of stress. So, if you have deeply considered the above and still want to breed from your mare then keep a look out for another instalment to try help you prepare her for breeding.